Cruise ships dock 5km from town. Taxis are available. 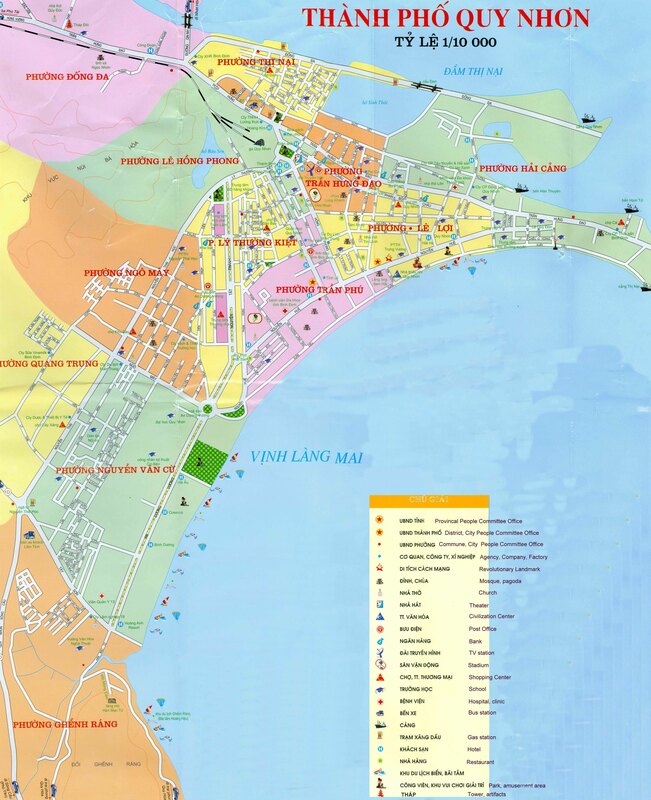 Ha Long City is the central city of Quang Ninh province and is endowed with 1969 beautiful stone islands rising from the sea. UNESCO endorses the premium value of Ha Long Bay by recognizing it twice as a World Natural Heritage (first in1994 and again in 2000). Views from above Long Bay have been likened to a painting as a result of the wonderful and skilful strokes of nature which turned thousands of soulless stone islands into fantastic sculptural and artistic works of graceful shapes. Thousands of islands emerging uneven in the distant waves look strong and magnificent but also peaceful. Inside the stone islands are various breath-taking caves. Ha Long is also home to a biodiversity of ecosystems like the mangrove forests, coral reefs and tropical forests. It is also home to thousands of plants and animals, some species which are particularly rare and cannot be found elsewhere. Be prepared for a truly authentic Vietnamese experience in this colorful town that remains undiscovered by most travelers. Take a leisurely stroll and enjoy local specialties fresh from colorful fishing boats — or explore the ancient Cham temples.